How Much Does an Outdoor Spa Cost? 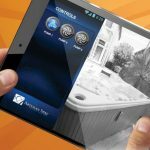 Endless® Spas is an Australian, family-owned company that is proud to employ a team of experts passionate about the relaxing and therapeutic benefits of spas. The Endless® team seek to provide our customers with high quality, innovative spas and customer care that reflects our family values. The Endless® showroom is located in the south-eastern suburbs of Melbourne. It is one of the largest spa and pool displays in Australia. 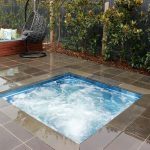 We have a huge selection of outdoor spas and indoor spas including in ground plunge pools and swim spas; in ground spas; freestanding portable spas; and even bathroom spas. With over 85 hydrotherapy spa models to choose from, it’s easy to make your lifestyle endless with……. We have a fantastic range of spas to suit your space, indoor or outdoor. From spa baths perfect for indoor relaxation, to portable free-standing spas perfect that can be shifted and moved. Our inground swim spas are also a best-seller, creating a beautiful, subtle design that’ll have you working on your swimming techniques at the comfort of your own home. Take a look at our fantastic range today, and choose that perfect spa. Whether you love to entertain, have a large family who want a fun activity or you’re a couple who want a romantic retreat in their own backyard, we’ve got a solution for you. Got a vision in mind? Check out our custom solutions and create your own dream spa. We are dedicated to providing our customers with a long lasting leisurely experience. We believe your home should be a place to truly unwind, which is why we’ve made it easy to do. With designs in a number of shapes and sizes, you can create the perfect outdoor area. Make the most of your home and create endless entertainment today. Get in touch with our Melbourne team today and we’ll be able to assist you in picking the right spa for your house. For elite swimmer, Brooke Hanson, her Endless Swim Spa is a great way to exercise, relax and recover – integral elements for helping Brooke stay on top of her sport. “It is an investment in lifestyle and I can’t imagine life without it now,” he says. 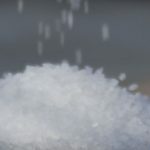 Owning a spa has always been a dream for Greg, to increase relaxation and enhance his lifestyle – and his research told him that a salt chlorinated spa was the way to go. Endless Spas client Heather Gowans and her husband were inspired to purchase an Endless spa after a relaxing weekend at a resort in Lake Tahoe, California. With high hopes of reliving the experience at home, the couple purchased the Endless ‘Grande’ model and have been pleasantly surprised at the benefits offered by their spa – which the couple and their two daughters, aged six and three, use three to four times a week. “I have wanted a spa for nearly 20 years and to finally have one to use whenever I like is pure bliss. It’s definitely the best purchase we’ve made to date,” says Heather. “My partner, Robert, and I both use the spa at least four nights per week. I spend time firstly swimming against the Badu jets which are an awesome form of exercise, then I have at least half an hour at the other end relaxing and unwinding in the spa. After suffering from insomnia for several years, Les Patterson’s doctor suggested he regularly relax in a spa before bed. It was an idea supported by his wife, Marie, who was also after relief for neck and back pain. Les, Marie and their two children approached Endless Spas for advice on the best spa for their needs – and subsequently purchased an eight-seater ‘Grande’ with salt chlorination. While Les and Marie generally use their outdoor spa four to five times a week, in some weeks they use it every day.